Original text developed by Cheekay Cinco and Karel Novotný, Association for Progressive Communications APC. Later versions of the document co-authored by Bruce Girard, Fundación Comunica. Policy development is a complex process and there are many reasons why even the best arguments backed by solid research can fail to be heard or to be acted on. Decision makers are barraged with conflicting demands, often supported by contradictory evidence, making it difficult for independent researchers to even be heard. Low levels of public understanding of and interest in policy issues, lack of political will, bureaucratic inertia, and counter arguments promoted by interests with their own agendas in mind further complicate the scenario. Even when the importance of independent public-interest research in supporting policy development is widely-accepted and when the research is designed to help resolve the recognised problems of policymakers and advocacy groups, it faces significant challenges to being effectively introduced into policy debates. Communication difficulties between researchers and policymakers serve to compound the problem. A UNCTAD-WTO-ITC workshop on bridging the gap between researchers and policymakers noted that research findings will only contribute to national policy development “if researchers and policy-makers cooperate closely to understand specific needs, ensure relevance of topics, and improve communication, dissemination and implementation of the research recommendations.” However this kind of cooperation is difficult when "policy makers are not always informed about ongoing research and researchers often lack knowledge of the most pressing policy questions that they would need to make their research more relevant." Based on interviews and participant comments recorded during the workshop "Caribbean Impact 2.0: New mechanisms for linking research and policy" held in Kingston, Jamaica in February 2011, this video looks at why and how researchers communicate with policymakers, the media and the public. In recent years there has been a good deal of attention paid to the relationship between research and development policy. For example, the Overseas Development Institute's Research and Policy in Development Programme (RAPID) focuses on four major areas: (i) the role of evidence in the policy process; (ii) the importance of improved communication of research; (iii) knowledge management and capacity building; and (iv) institutional development. IDRC published Knowledge to Policy, a book that looks at secondary effects of linking research and policy and concludes that while research can make a direct contribution to better policy, it can also contribute in more subtle ways by encouraging inquiry and debate, empowering citizens to hold their governments accountable, and adding to the diversity of available policy options. As e-government moves beyond merely using ICTs to streamline operations and provide information and services and it is increasingly employing them to increase citizen participation in the public decision-making processes. Increasingly governments are turning to Web 2.0 applications and practices to manage virtual consultations, establish communities of practice and otherwise engage citizens in interactive dialogue. Nevertheless, the scale, scope and speed of change in technologies and practices over the past decade have meant that academic researchers and policy makers have only begun to explore the potential of Web 2.0 interactive services and applications for linking policy and research. Meanwhile, activist and civil society organisations such as those grouped around the Association for Progressive Communications –APC– are successfully deploying new interactive services and applications in their research and advocacy work. However, while there is evidence of the capacity of the interactive web to facilitate the creation, sharing, discussion of and access to knowledge, the use of these new tools and methodologies to promote and strengthen links between research, advocacy and policy is relatively unexplored territory. Fundación Comunica has published some case studies demonstrating and evaluating the use of these tools for linking research and policy in the book Impact 2.0: New mechanisms for linking research and policy available online or on Amazon. Managed by Fundación Comunica with the financial support of the International Development Research Centre (IDRC) Impact 2.0: Collaborative technologies connecting research and policy seeks to develop a body of knowledge about the use of Web 2.0 in policy-oriented research and design, to identify, document and promote good practices and emerging opportunities related to the use of collaborative technologies for linking research to policy, and to build capacity in the strategic use of these technologies by researchers. 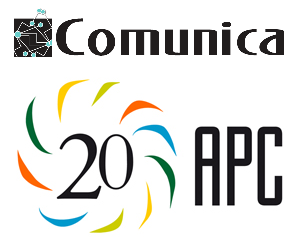 The original version of this guide was developed by APC for use by the coordinators of Impact 2.0 pilot projects in Ecuador, Peru and Uruguay by providing ideas and guidelines for how Web 2.0 tools can be used to facilitate collaborative policy making and the effective insertion of research into the policy process. How researchers can effectively and strategically use Web 2.0 and social networking tools, to better understand the policy context, e.g. to identify and understand the main policy actors, to identify key issues themes, and to recognise opportunities. How researchers can use Web 2.0 tools to encourage discussion, debate and collaboration based on their research findings. How researchers can use Web 2.0 tools to develop and maintain relations with policy makers and other important stakeholders. Take this guide as a manual, which aims to provide you with concrete tools for your communication needs in specific situations. First section offers a brief introduction to what actually are the Web 2.0 tools and a general overview of strategies for using these tools to link research, policy and advocacy. Following is a section on basic communication strategies, and the final part contains a long list of Web 2.0 tools listed in the context of specific communication strategies they can support. This last part of the guide is not meant to be read A-Z, but it should lead you directly to specific tools you need. Check out the Political Context, Evidence and Links framework which shows various existing strategies for given communication context. Once you clarify for yourself which strategy you need to follow, the links that follow will lead you to specific online tools that can support that strategy and, in some cases, an explanation how to use them. Links to all services and tools mentioned in this guide are referenced in footnotes, while clicking on tools' titles will take you to a short description of that specific tool in the glossary. This iGuide is licensed under a Creative Commons Attribution-Share Alike 3.0 license. Impact 2.0 is a project of the Fundación Comunica with funding provided by the International Development Research Centre (IDRC), Ottawa, Canada. This page was last modified on 30 August 2012, at 21:28. This page has been accessed 572,927 times.